The saying goes, “when you hear hoofbeats, think horses, not zebras.” Physicians are taught to focus on the likeliest possibilities when making a diagnosis, not the unusual, or rare ones. But with every rule, there’s an exception. 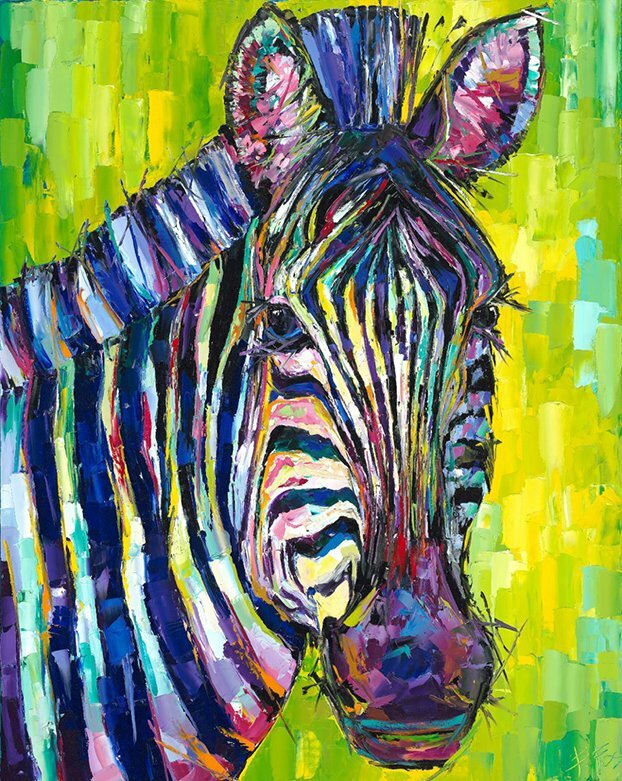 Pulmonary hypertension patients are among the zebras of the medical world. Who’s the rarest of them all? The Golden Zebra. In the PH community, when we hear hoofbeats, we think ZEBRA! And PH zebras tend to have their own herds comprised of moms, dads, caregivers, children, husbands, wives, support group leaders, physicians, therapists, PHriends, PHamily, and, of course, nurses. SteadyMed Therapeutics and Be PHenomenal wanted to honor our very own Golden Zebra Herd at the Pulmonary Hypertension Professional Network in October. This year, twenty four nurses are being recognized as the first annual herd of rare and exceptional medical professionals who have had an impact on the PH community. Meet this year’s 24 exceptional medical professionals below. Each will receive a signed B. Fos, limited edition BePHenomenal print. Do you have an exceptional Golden Zebra in your herd? Know someone who is rare in their care? Keep them in mind for the 2018 contest. A New Orleans resident, Becky Fos is a bit of a Renaissance Woman. Fos’ popularity has been growing yearly, not only in the Big Easy, but worldwide. Her streak of burning creative energy is rivaled only by her daily goal of living an active lifestyle of workouts, jogging and CrossFit. Becky Fos’ works are simply signed B. Fos. Her impasto technique, applying wet, undiluted oil paint with her palette knife, is unapologetically bold and energetic. She uses color as a forefront in her pieces that allow them to come to life, evoking an instant sense of happiness. Over the years, her layering of oil paint and colors have become heavier and thicker, with some of the oil paint being raised half an inch off of the canvas. 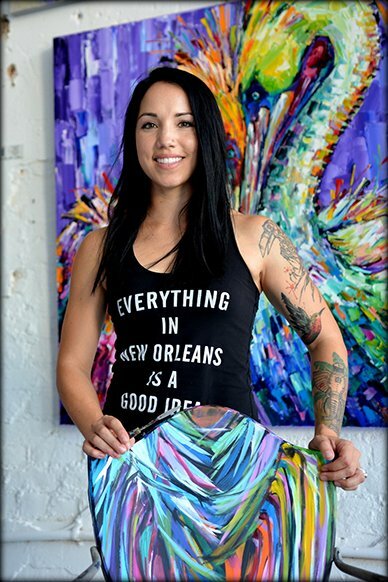 Her art can be found at her gallery space at Gallery B. Fos on famous Magazine Street at Jackson Ave.
"For me, painting is the most authentic way to express myself," says Becky. "I am not good with words, so I express myself with paint. I feel enormously blessed to live in New Orleans, where every day is a celebration of life. This city is truly my muse!" She continued, "I gather boundless inspiration from all corners of this wild, beautiful, and colorful city and its undeniably unique history, spicy culture and the vibrant people who live here. I then try to transform these inspirations into oil paintings with my fingers and palette knife." She adds, "I choose the colors on my palette, but in the end the colors really choose me. Being offered the opportunity to create a unique painting for the inaugural NOLA Mac N Cheese Fest poster is an exciting one for me and I look forward to sharing it with everyone!" Becky’s festival poster, for Crescent City Classic in 2016, was the first ever to sell out of it's prints. The NOLA Mac N Cheese FEST poster is much more limited, with only 1,000 total prints available. Look for her upcoming gallery events and her first coffee- table book on-line and in stores in early 2018.